Breanna is a second year PhD student at the University of Southern California with research interests in economic development, food justice, local community development, democracy, collaborative governance and participatory planning. More specifically, Breanna aims to research local food systems planning as a mechanism for advancing restorative justice and collective efficacy in historically disenfranchised urban communities. Breanna serves as a Research Fellow with the Los Angeles Food Policy Council, and was formerly an evaluator of a Racial and Ethnic Approaches to Community Health (REACH) pilot study funded through the Centers for Disease Control and Prevention (CDC). Prior to attending USC, Breanna was a Food Systems Policy Analyst with Community Health Councils (CHC). At CHC, Breanna founded a Community Researcher Development and Training program that has equipped close to 100 South LA residents with community-based participatory research skills. Breanna also led numerous policy campaigns that influenced land-use policies supporting the development of grocery stores, healthy restaurants, and increased access to healthy living resources for over 700,000 South LA residents. 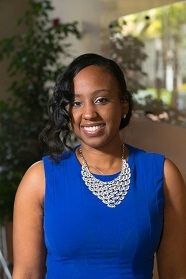 Breanna holds a Master of Planning degree and B.S in Public Policy and Management from USC. She is also a recipient of the Emery E. Olson award for Outstanding Civic Leadership from USC’s Sol Price School of Public Policy. She is a Los Angeles native, but has also conducted health communications and community development work in Panama, India and West Africa.